On the day of Sithi Nakha, the Newar Buddhist observed the festival of cleaning wells and ponds around kathmandu valley. 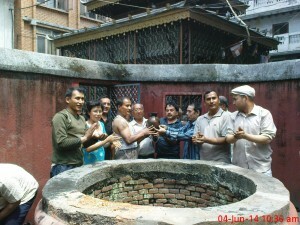 A well near Itumbahal at lakanani was also cleaned on that occasion. The well is also known as ‘I-tum’. 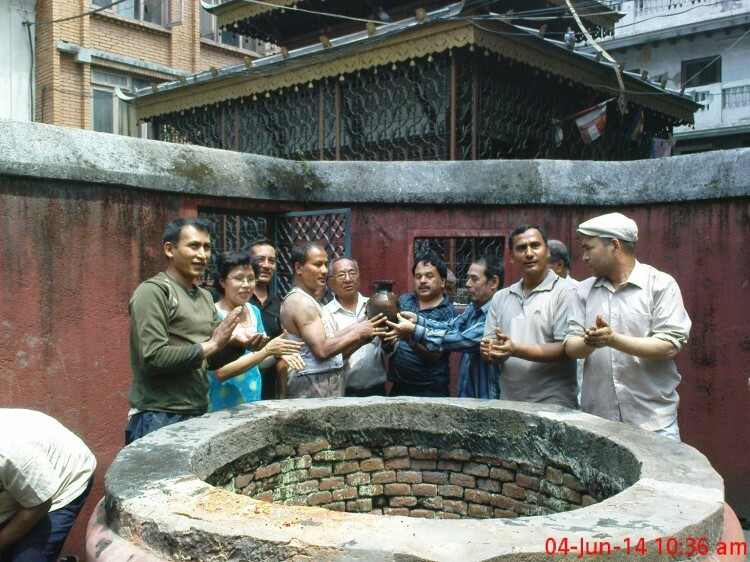 The sangha members pulled water out of the well and a person goes down to clean the mud and weeds inside the well. This well is considered to be sacred one and is abode of Jwana Naag. This water is also offered to Kwapa Dya (Santum Sanatorium) of Itumbahal, and to the Bunga Dya (Rato Machindranath) of Patan on the occasion of sacred bathing ceromony. This cleaning activity was performed by Mr. Bhagwan Shakya of Itumbaha.